Don't forget about this shopping destination! With more than 90 specialty stores selling everything from clothing and beauty to home goods and tech, you'll have no problem finding exactly what you’re looking for. Plus, if you're shopping with kiddos in tow, you can take a break at the new play area designed by the Chicago Children's Museum. Play dress up, capture the moment in the family selfie station, climb around the indoor playground, and more. GIFT IDEAS: your littlest Cubs fans will love a Chicago Cubs Bear ($25.50) from Build-a-Bear Workshop. It will be the perfect game-day companion come spring. For those still dreaming of baseball weather, help them stay warm all season long with a Crazy Stripe Scarf ($39.95) from Gap. And this Stance Men's 4-Pack Star Wars Sock Gift Set ($72) from Neiman Marcus is a great way for “Star Wars” fans to stylishly show off their obsession. 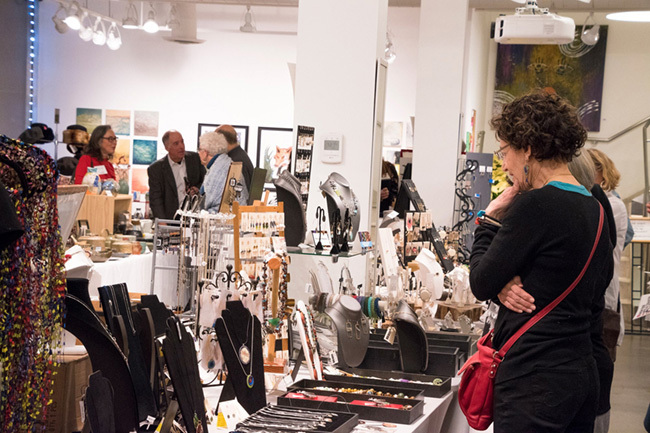 More than 140 selected artisans are showcasing jewelry, paintings, ceramics, and more at the Evanston Art Center during this 16th annual expo, running now through Dec. 22. Mark your calendar for special shopping events like Jewelry Fest (Dec. 1), the EAC Student Expo (Dec. 1-22), Sip 'n Shop (Dec. 6), and Men's Shopping Day (Dec. 15). GIFT IDEAS: stop by the Tiny Grace Jewelry table for a wood and sterling silver coffee cup necklace that's perfect for the caffeine addict in your life. And don't miss Rossana Reformado's table featuring coasters depicting some of our favorite local landmarks. Or, shop designs from Laura Tanner Jewelry, a local company creating necklaces, earrings, and bracelets that are green and made in the USA. If you're the kind of holiday shopper who likes to check off every item on your list in one fell swoop, make your way to this shopping center for a variety of stores, including Nordstrom. It's practically guaranteed you'll find something for everyone in your life! Plus, with restaurants like Buffalo Wild Wings, California Pizza Kitchen, Corner Bakery Cafe, Maggiano's Little Italy, and Nando's PERi PERi, you don't even have to leave for lunch, dinner, or an afternoon snack. GIFT IDEAS: for those who love to host, give pretty stemless wine glasses from American Atelier in clear, copper, or gold ($36, Nordstrom). Or do you know someone who can’t get enough of their favorite podcast? 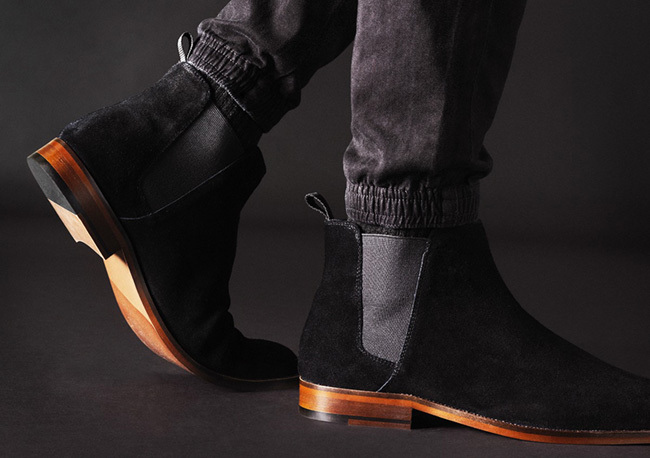 Give these Urbanears 'Plattan ADV Wireless' Bluetooth® On-Ear Headphones ($100, Nordstrom). And for the kids on your list, these Ferrari Classic Roller Skates are a must ($99.99, Nordstrom). You can also easily spend an entire day at this shopping destination as you discover unique gifts for your significant other, BFF, child's teacher — you name it! When you're done shopping, stick around for dinner at The Curragh Irish Pub & Restaurant or Your Pie. GIFT IDEAS: for those who love to cook, give the gift that keeps on giving. 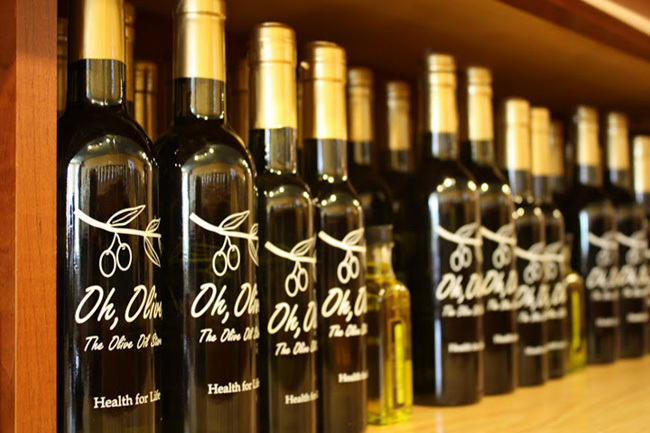 With Oh, Olive’s 6 Month Olive Oil and Balsamic Vinegar of the Month Club ($197.70 for in-store pickup or $257 for “ship to home”), they’ll look forward to receiving new olive oils and vinegars to try out throughout the year. Or stop by Cookies by Design for a sweet treat (we love the Beary Ugly Sweaters Bouquet, starting at $19.49). 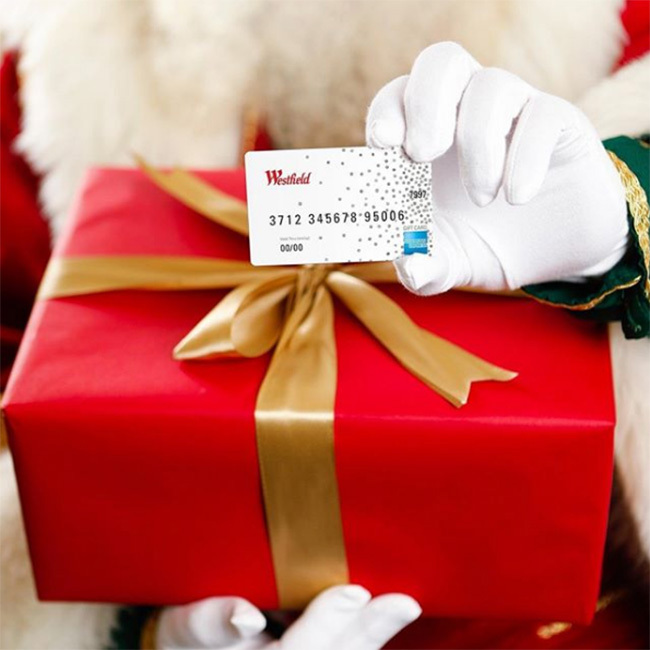 Take your hunt for the perfect gift to Winnetka. If you know someone who’s all about the comforts of home, stop by Maze Home (735 Elm St.). With a selection ranging from tables and lamps to pillows, vases, and other decorative pieces, you’ll be amazed with everything you find here. Plus, stay tuned for Maze Home’s Twelve Days of Gifting Dec. 10-22, when the store will offer various deals each day. Then, make your way to Sawbridge Studios (897 Green Bay Road) for unique furniture and home accessories, all made by hand. Sawbridge also does custom work, if you have something truly unique and special you’d like to have made. And for fashionistas, visit Skändal (907 Green Bay Road) for the latest Scandinavian fashions, including dresses, sweaters, coats, and accessories. You'll also find home goods here as well. GIFT IDEAS: make sure your loved ones are always ready to impress guests with a Stainless Penguin Cocktail Shaker ($67, Maze Home). For those who love a good chess match (or a good decorative piece), give a Walnut & Maple Chess Set by Joel & Karma ($180-$225, Sawbridge Studios). And if you know someone who is always on the go, a chic Stelton To Go Cup ($35, Skändal) is a perfect way to enjoy hot or cold drinks. It even features a "smart click" function that allows you to take a sip from any side. Glencoe is the go-to destination for sweet gifts thanks to The Sweet Buddha (660 Vernon Ave.). Not only will you find candy here, but you can also shop jewelry, apparel, toys, and games as well. (They'll even wrap your gift for free, a perfect option for those looking to simplify the season.) When you’re done there, swing by North Shore Exchange (372 Hazel Ave.), a luxury consignment and resale shop. 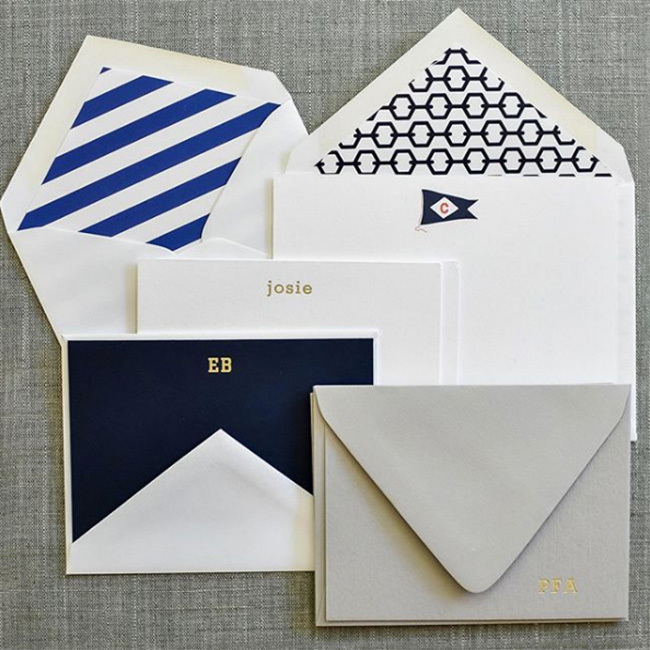 Here you'll find gifts from designer brands like Hermes, Gucci, Chanel, Burberry, and Prada. GIFT IDEAS: the Sweet Buddha can create custom gift baskets that everyone will love. All you have to do is name your price and they’ll do the rest! Pick it up at your convenience or take advantage of local delivery. It’s super simple — and super sweet! 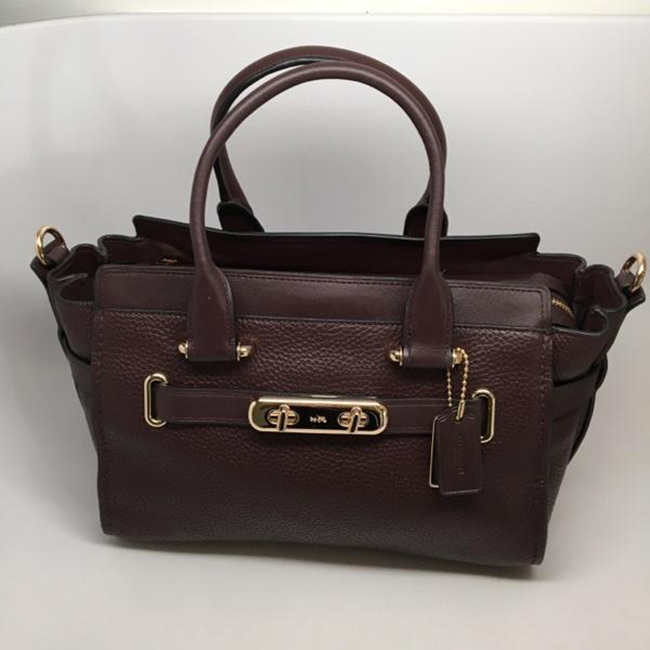 At North Shore Exchange, this burgundy Coach Satchel ($175) is an exciting gift that also makes a difference in the community. Downtown Evanston is always a must-visit during the holiday season. 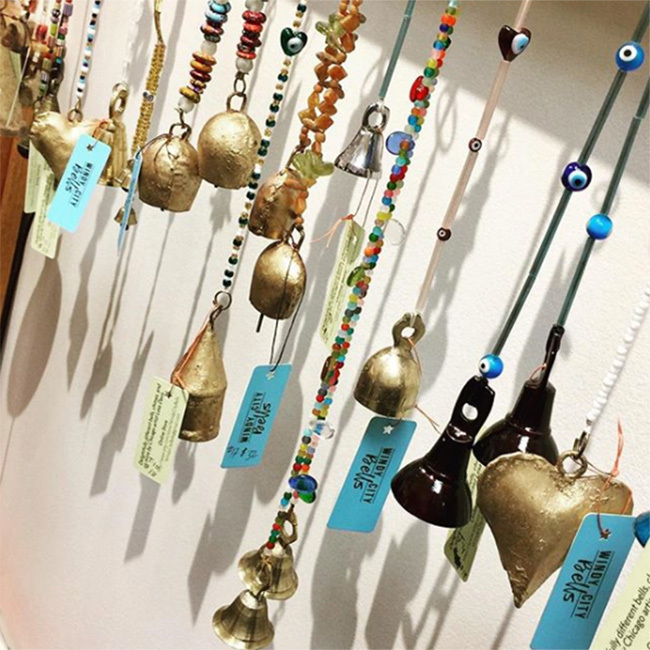 At Ayla's Originals (1511 Sherman Ave.) you'll find beads for those who make their own jewelry or already-created bracelets, necklaces, and earrings. Or, give the gift of time spent together with a class like Wire Wrapping, Leather Elegance, and Dancing Pearls Necklace (Intermediate). Eve J. Alfillé Gallery & Studio (623 Grove St.) features necklaces, rings, cufflinks, and more, all created in their Evanston studio and one at a time, so you know your gift will be unique. And at Secret Treasures (605 Dempster, Evanston), you can shop antiques and collectibles ranging from the Victorian era to post World War II. GIFT IDEAS: the Hamsa hand symbolizes protection and "brings luck and prosperity to the wearer," so gold plated Cubic Zirconia Pave Hamsa Hand Earrings ($19, Ayla's Originals) make a meaningful gift. Eve J. Alfillé’s "A very good year" palladium and gemstone bracelet ($508) is certainly an appropriately-named gift to celebrate everything that 2018 brought you. And inventory at Secret Treasures changes every day, so stop by to find the latest in jewelry, home furnishings, kitchenware, books, and more, all perfect for those who love antique pieces. This entry was posted in Shopping, and tagged Central Street Evanston, Chicago North Shore, Chicago's North Shore, Downtown Evanston, Evanston Shopping, Evanston, Glencoe, Glenview, Illinois, Local Business, Local Businesses, North Shore Chicago, North Shore Shopping, Northbrook Court, Northbrook, Retail Therapy, Shopping On Chicago's North Shore, Shopping On The North Shore, Shopping, Skokie, Winnetka, on November 29, 2018.